Finding the time - something that seems to be evading me and I'm sure most of you as we get older. They say we have as many hours in the day as Beyonce, but as much as I'd like to believe that she gets it all done, we don't all have the luxury of having a personal chef, assistant, trainer, someone to run to the grocery store and Target for us...although do we really want someone to take Target away from us?! I find myself forgetting to send notes just because like I did before life got a little too busy - but my excuse of not sending snail mail is gone! 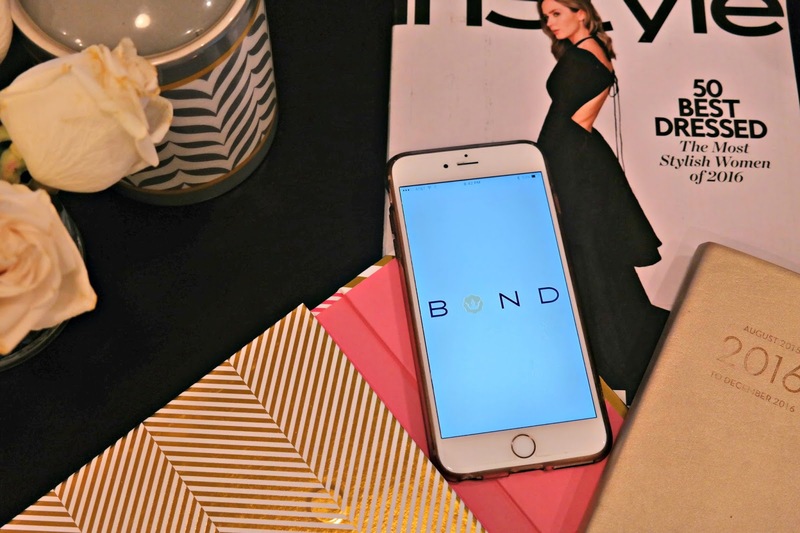 Meet my new best friend in the form of an app - Bond!! 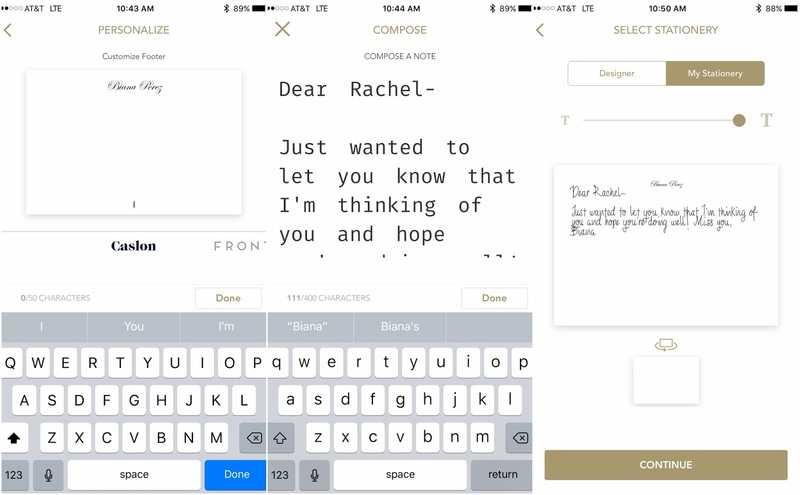 With the app, the personalized touch, right down to the handwriting, is at the tip of your fingertips! So finding the time is no longer a valid excuse - I basically sent my bestie Rachel a little note saying "Hi" during my commute to work! When you're ready to select the address, the app integrates with your phone and you don't have to worry about fumbling through your contacts or toggling between apps. 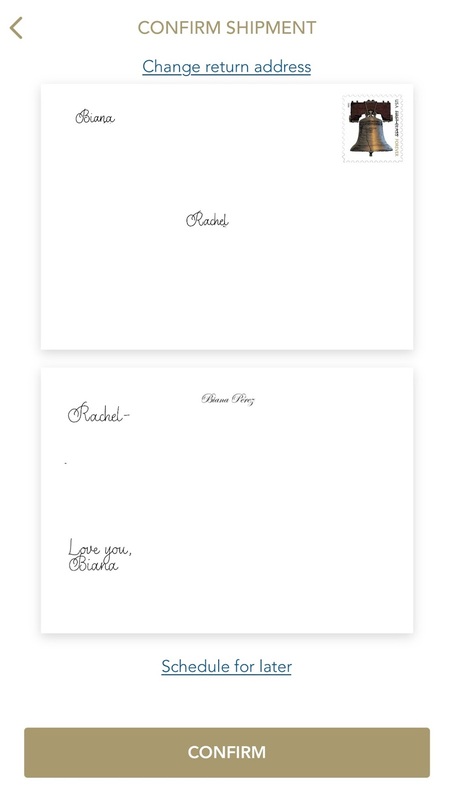 I could have added a fun stationary element, like "wish you were here" or "happy birthday", but I opted to create my own stationary with my name at the top, you can also do the same for the footer. 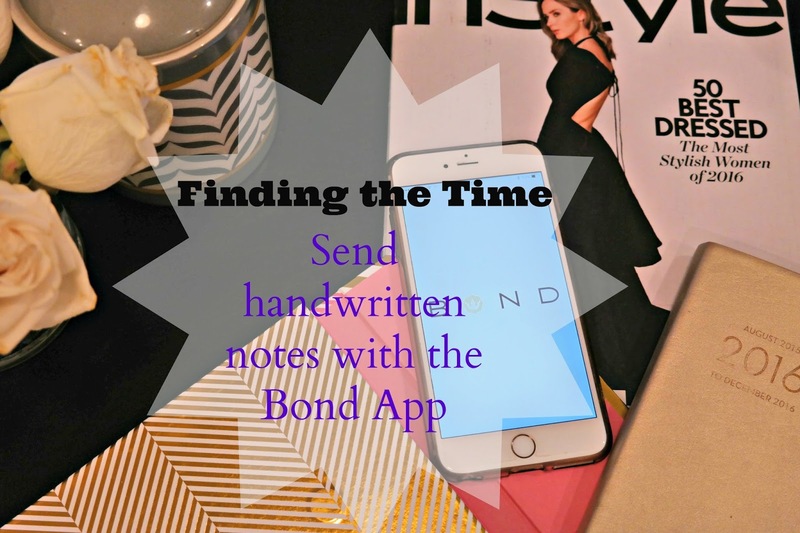 So remember when I said it's about finding the time - the Bond app gives you some of those moments back. I love that it's handwritten, saves me the time of going to the post office, getting a stamp because let's be real I never have one on me & remembering to actually send the note out when I want to! There is a character limit of 400 - so think of it like 3 quick tweets! Another awesome feature of the app is that you can create your note and schedule it to be delivered at a later date, talk about behind ahead of the game! While we might not have the personal chef or trainer - I think we can all agree that thanks to Uber we now sort of have an on-demand car and with Bond.co we have a personal assistant to ensure we'll never forget a special occasion again! Both a time AND life saver! How do you find the time to fit it all in? Do you use app's to help with your daily routine? 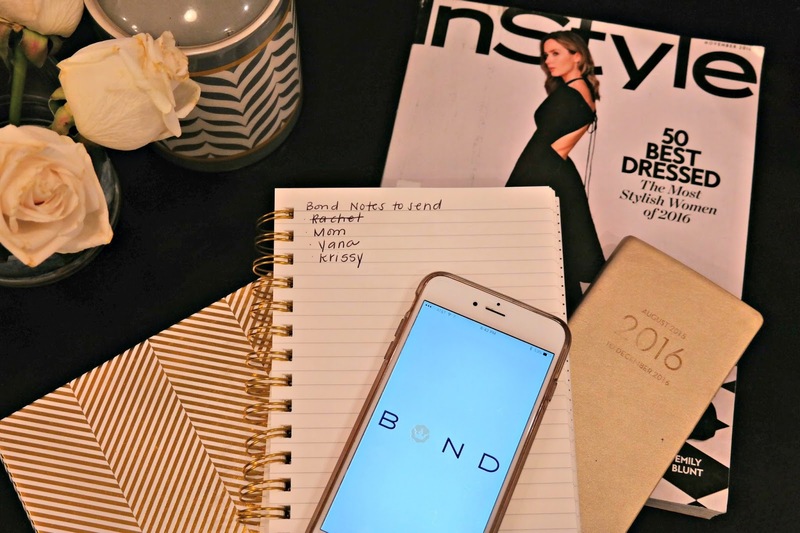 Thank you to Bond.co for kindly sponsoring this post. All opinions are 100% honest & completely my own. Sweet app. Love handwritten notes!!! Happy Wednesday love! What a great idea!!! Anything that keeps me from having to go to the post office, but still send sweet notes is a win! What a cool app! I never have stamps when I need them, so this app is really ingenious. Thanks for sharing your review! Handwritten notes are my jam!! What this is so awesome!!! I literally need to download this asap! I love that you can handwrite notes that is fantastic! How neat is this?? It looks so easy too! This is such a cool app! I absolutely love actually handwriting notes so this is just perfect! Thanks for sharing girl! How fun is that? I love this idea. Thanks for the introduction to this great app! This is such a cool app! I love writing handwritten notes, I feel like technology has take the art of writing away. But finding the time is always difficult so this is a great concept! And so awesome that you don't have to go to the post office to mail it. The post office by my office closed (how does that even happen??) and now it's a serious inconvenience trying to find one! 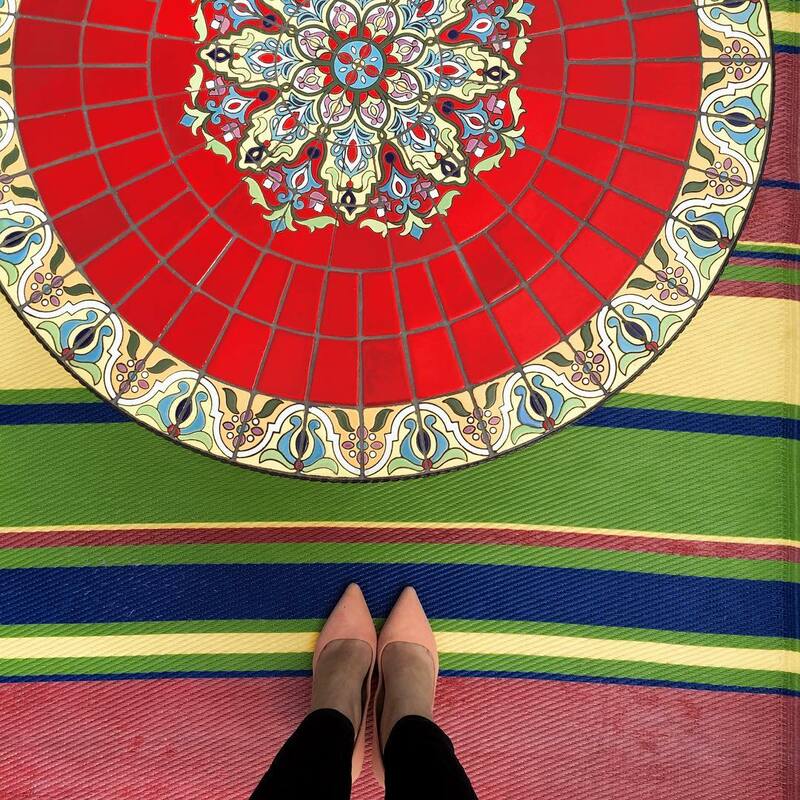 Thanks for sharing, Biana! This sounds like such a great app, I'll have to check it out! 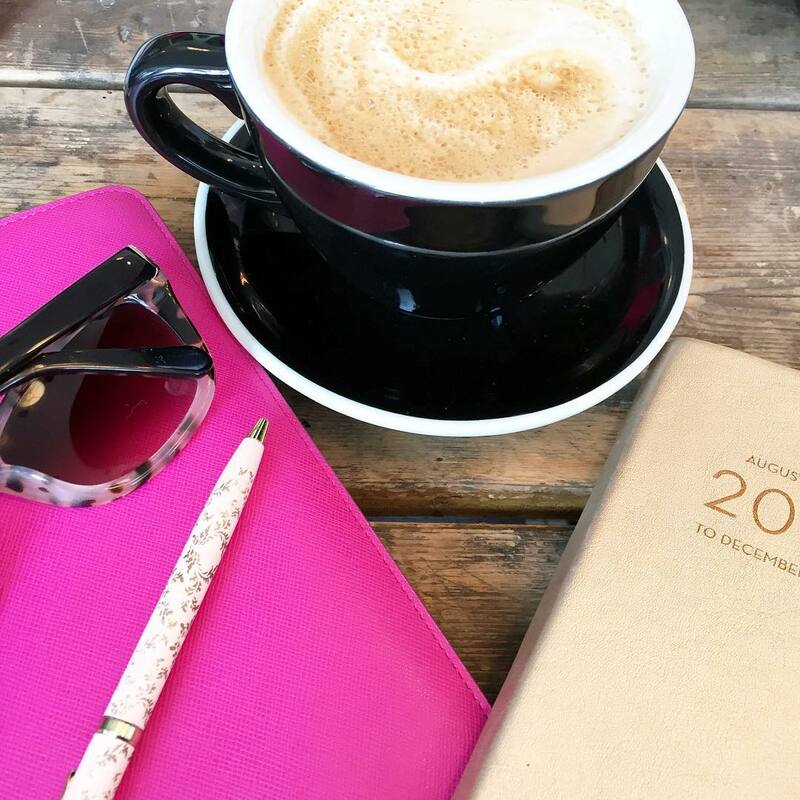 There are definitely times when I intend on checking in on a friend or family, but end up getting caught up with other things throughout the day that I forget. Thanks so much for sharing, beautiful, and I hope you're having a great weeks so far! Sounds like a great app. It can definitely be hard to find the time for everything! What a cool app! I've always loved sending handwritten notes, but like you said, who has the time to find a stamp and an envelope! This makes it so easy! Such a cute post! I've never heard of this app before, but would totally use it. Thanks for sharing! How fun is this? Thanks for sharing, definitely need to try this! Oh my goodness!! I can't wait to try this out. I love snail mail and love to surprise others with sweet notes. I have never heard of this app, how fun! I need to try it out for sure! This looks like such a cool app! I definitely need to check it out. This is genius!! I've never heard of this and this is perfect for this time of year too! oh this is brilliant! the fact that you can schedule them ahead of time (like for birthdays or whatever that i always end up forgetting about) is absolutely brilliant. I have never heard of this app but I love the idea of handwritten notes and you can schedule when they go! And yes, we have the same hours as Beyonce but I am the one cleaning my house, walking my dog, doing my laundry, cooking my own meals etc. So that makes us more badass than her, right?! What a great app! Love the encouragement and ease to send a sweet message! This is such a great idea! I love how easy it is! I would be nothing without notes! 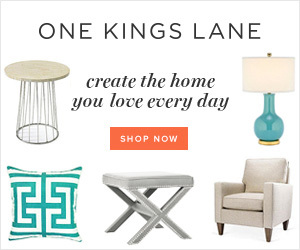 This is so cool - I love old fashion handwritten notes so I'm definitely checking this out! What a great app. I totally need to check it out. Love handwritten notes. That is so cute and sweet!! 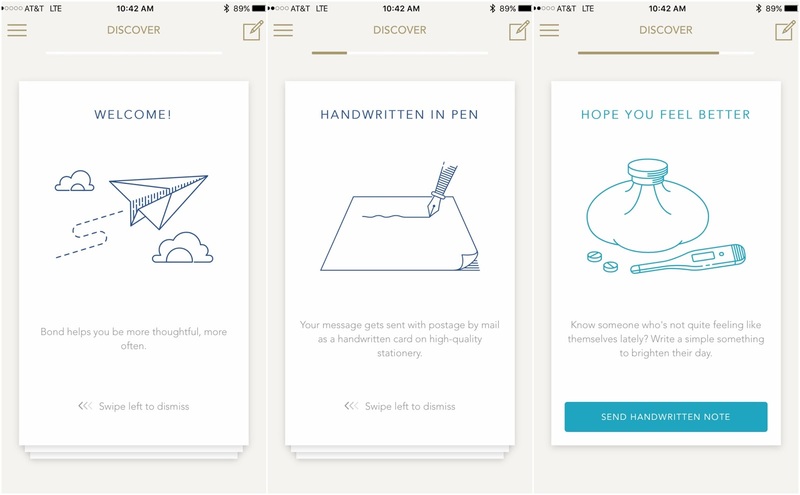 I may need to download this because I also love sending handwritten notes. :-) Have a great day!!! I just heard about this app a few weeks ago. I should definitely check it out. This sounds super interesting, definitely going to look into it. I absolutely love the handwritten element! That sounds like such a fun app! I love getting snail mail, but I need to be better about sending it too and it seems like Bond is a really great option! Such a cute app! I'll be checking it out for sure! Oh what a great idea! I've never heard about this app before. I definitely need to check it out. Such a neat app and super convenient since I live so far away from most of my family and friends. I'll definitely have to give it a try! I love getting little just because notes in the mail. How cool is this?! I love snail mail but so often get wrapped up my busy schedule that I don't make time. Such a neat app. Cute idea for an app! Sometimes a personalized note means that much more even if it's facilitated by a little bit of technology to speed up the process. Love this idea, thanks so much for sharing it with us! How cute is this?! We forget the power of a hand written note since we are so used to just sending a text! This app sounds so awesome! I'm famous for forgetting to write notes and cards so this would be great! I actually kind of hate that Beyonce quote for just that reason, haha. I love stuff like this-- so this is such a cool idea, as much as I love traditional snail mail, sometimes it just doesn't happen, so this is perfect! I treasure my grocery store and Target runs, please no-one ever take that away from me! Such a cool app! I'll have to try out the app!! I do love sending notes. This is such an amazing idea and such a great find!! This is genius! And it looks really easy!